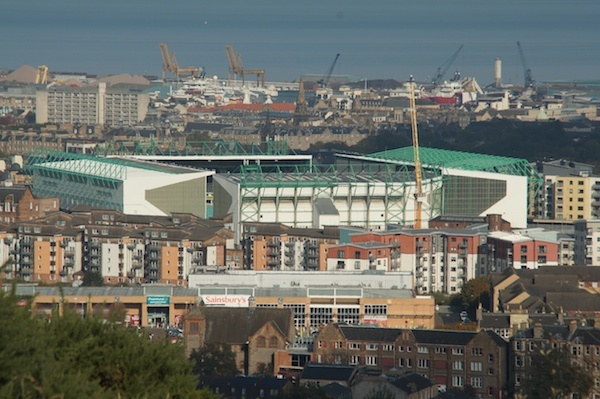 The event, arranged by supporters’ group Hands On Hibs, started at midday and finished three hours later with thousands of fans making contributions to the truly worthwhile cause. The final amount of food donated filled three vans was delivered to the Edinburgh North East Foodbank’s warehouse in North Leith on Saturday – the donations will make a substantial difference to the local community. Regular gifts: Giving by standing order helps us to plan ahead, making sure we are always here to help people in crisis. One-off gifts: Foodbanks need funds to keep going. We appreciate whatever you can give, big or small…To donate, please make cheques payable to: EDINBURGH NE FOODBANK & post to Edinburgh NE Foodbank, South Leith Parish Church, 6 Henderson Street, Leith, Edinburgh, EH6 6BS. Donate by Text: donate up to £10 by texting the unique personalised text code, FOOD00, and either £1, £2, £3, £4, £5 or £10 to 70070 to make their donation. The text message is free and all of the donation will be passed to Edinburgh NE Foodbank.